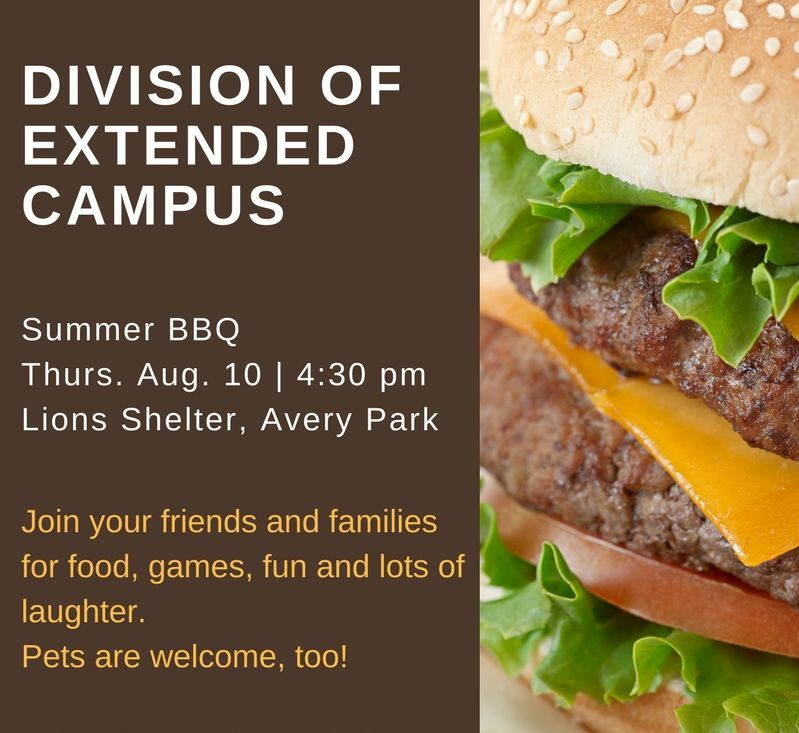 The Division of Extended Campus Summer BBQ is Thursday, August 10, 2017, at the Lions Shelter in Avery Park. Your friends and families are welcome to enjoy food, games, fun and lots of laughter. Pets are welcome too! Bubbles, coloring and more for our young attendees! To make sure we don’t all show up with chips on the big day, please take a few moments to fill out the potluck sign-up.